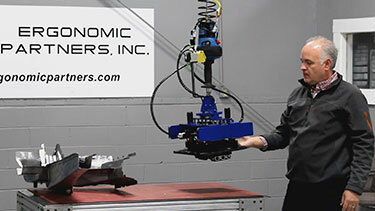 We feature a number of videos demonstrating the power and utility of our pneumatic and mechanical grippers. 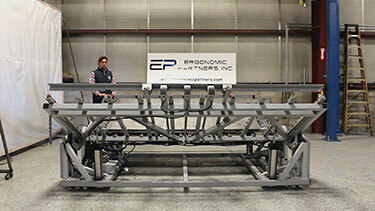 Watch and see how these products could benefit you! 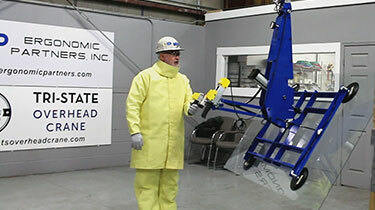 Portable mechanical lifting device videos for: electric roll lifters, turners, roll handlers, portable stacker's, lift tables, and powered hand trucks. 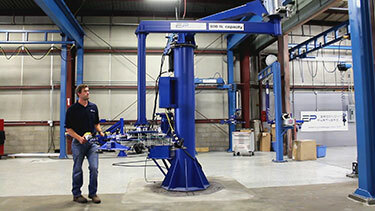 Manipulator arms and rigid column lift videos for: rigid columns, OD griping, ID griping, lead batteries, manipulator arms, Gorbel Easy Arms, and articulated manipulator arms. 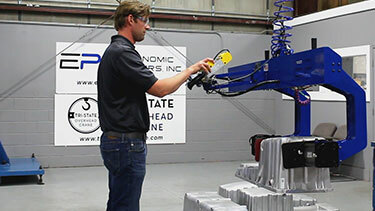 Magnetic gripper tools videos for moving, lifting, rotating, and pitching ferromagnetic pieces such as steel sheets, blanks, and stamped parts. 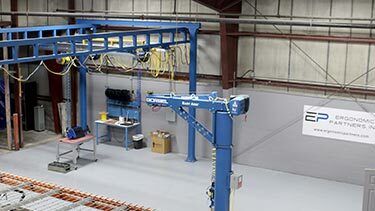 Check out our videos of custom material handling equipment we designed and built for inspection stations and inspections tables that invert or upend parts, assemblies, and machinery. 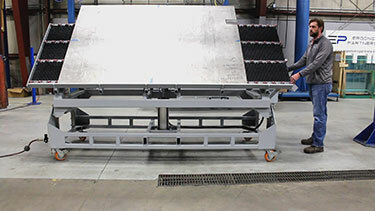 Lift tables and stacker videos for: self leveling lift tables, electric stacker's, and adjustable height lift table systems. Take a look at our Gorbel products videos to learn more about the items we sell and how they are used. 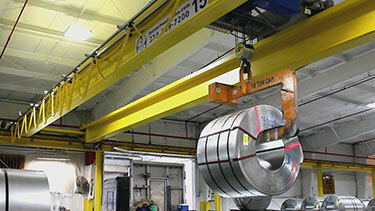 See our videos of the systems and equipment we manufactured allowing the safe, efficient, and productive, movement and storage of large or heavy materials.